1B-04. 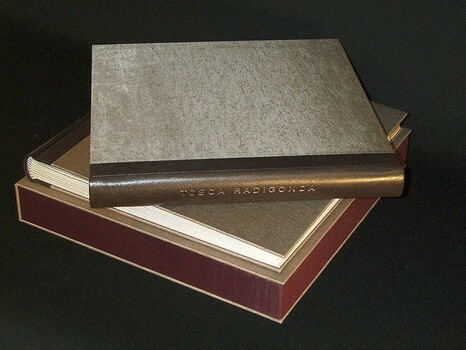 Tosca Radigonda portfolio book & box 1. Quarter leather photo album in full cloth box.